A recent article in the LA. Times, Worriers Outlive Optimists in Survey, made us reflect upon how attitude affects how we see the world. This blog has consistently taken the position that what you see is what you think and therefore impacts the outcomes of your actions. What we found interesting about the German study the article is based on, Forecasting Life Satisfaction Across Adulthood: Benefits of Seeing a Dark Future?, is that apparently the old dictum of whether one sees the proverbial glass as either half-full or half-empty may actually have some bearing about how satisfied you are in your life and how long you live. It seems that seeing the glass as half-empty may actually be good for you. Here’s why. According to the study, those who are pessimistic about their future were more likely to be cautious and thus minimize any risks that would prove their pessimism about their future right. The half-empty folks had a lower rate of disability and death during the study period. The study predictably showed that folks 18-39 routinely predicted that their future was going to be rosy. That’s to be expected because the younger you are the less likely you’ll think about mortality or bad health or any other impediments in life. We can all relate on the foolish risks we’ve taken when we were younger (How did I ever survive that?) And you’d be right to assume that the older one becomes, the more you weigh the risks you might not give much thought to when you were younger. So what does this prove? Once again, it depends on many factors and the kind of life you want to create. If you are the cautious type who tiptoes through life, then you might live a long and predictable life. Or you may be someone who grabs life by the tail and rides it to the far reaches of your imagination (See our recent blog It’s the Only One You’ve Got). We caution our readers that there will always be studies that can prove whatever you want to believe. 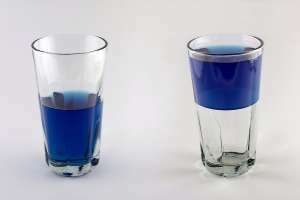 Ultimately the only thing that really matters is not whether your glass is half-full or half-empty but whether you drink from it.